Alexander Shavrin ordered an electric car from the U.S. despite the fact that neither Perm nor the Perm Region yet has an electrostation. Photo: A charging station at a public parking lot in Moscow. Russian energy companies will install a charging station for electric cars in the middle of nowhere – between Perm and Yekaterinburg, two cities in the Urals. It was a Tesla owner in Perm who made the request – his electric car runs out of power 20 miles from Yekaterinburg. According to some, Alexander Shavrin from Perm (720 miles east of Moscow) is the only individual from the city of 1 million – or the only one of two – who can boast of having a Tesla. He ordered his electric car from the U.S. and drives it with pleasure, despite the fact that neither Perm nor the Perm Region yet has an electrostation. Shavrin charges his car at home and at work. Shavrin has problems only when he has to travel a long distance, for example, 293 kilometers to the neighboring city of Yekaterinburg (880 miles east of Moscow). Thirty kilometers before reaching Yekaterinburg the charge in his car runs out and the Tesla comes to a halt. But his problem is about to be solved. 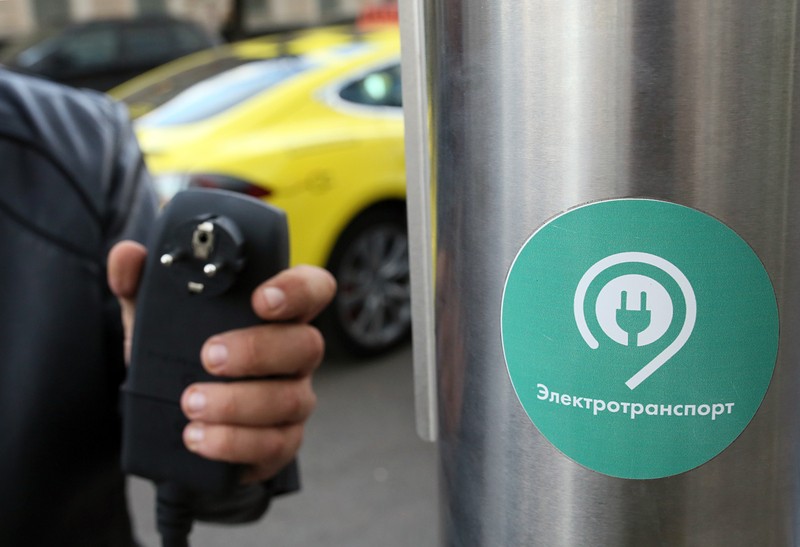 Press secretary of the Urals Interregional Distribution Network Company (MRSKU) Natalya Baldova told the Yekaterinburg TV channel ETV that the energy companies will install an electric charging station on the Achita-Moscow tract, the road from Perm to Yekaterinburg. The station will be installed for Shavrin alone. The gift will cost MRSKU about 300,000 rubles ($4,694) and will be built by Fora, a Russian company that produces charging stations. "The development of these charging stations was planned but no one had ever requested them," Shavrin told the city website Properm.ru. The Urals is still far from being teeming with electric cars: The Sverdlovsk Region has one charging station, the Perm Region none. Nevertheless, installing the charging station between the two Ural cities is important not only as a sign of courtesy for Perm's Tesla owner. Representatives of the Rusnetworks energy operator say that by 2020 there will be almost 200,000 electricity-powered cars and Russia is already contemplating the creation of the proper infrastructure. By 2018 Russia is planning to install 1,000 electrostations.